As I get back into the groove of moviewatching, I decided I was ready to take on this challenge a Facebook friend pointed me to on Letterboxd. 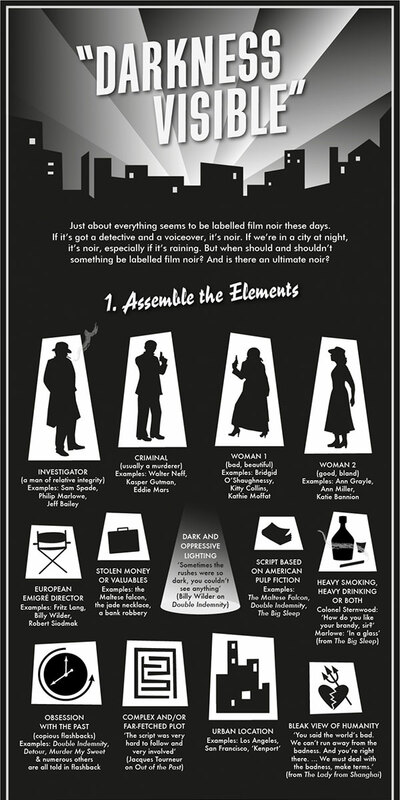 Basically each week has a pre-selected theme with a list or a genre or a set of filmmakers from which each person doing the challenge can choose a film to watch. Many of the themes are things I know quite well, but others are almost total blind spots, so I’m curious to see what’ll come out of this (and whether I can complete it!). I’m also planning another movie challenge starting in 2016 that you guys will hear a lot more about in a couple of months, but even if I only manage half of the Letterboxd challenge, I’ll have a lot of quality films under my belt. I will be writing at least a bit about every film on Letterboxd (follow me if you’re not already! ), but I don’t always write a lot on Letterboxd. When I actually write enough to warrant a blog post, I’ll copy it over here. The whole list of films I’m planning to watch (assuming I can source them all) is here. I chose this one because I’m always trying to crack the nut on Japanese film, which can be difficult for me to get into. I’ve seen three or four others from the Japanese New Wave era (all from Seijun Suzuki, I think), and found them highly stylish but incomprehensible to varying degrees, and to be honest, Pale Flower fits into that as well. However, whereas the Suzuki films exude pure cool and somewhat iconoclastic youth, Pale Flower has a weariness that balances its hip visuals and sound design. The main character Muraki is middle-aged, and has just been released from prison, having served time for a gang-related murder. When he returns he spends most of his time hanging out at a gambling house playing (or watching others play) a card game with rules that are never explained, but which is mesmerizing thanks to the continuous “place your bets” auctioneer-like patter of the dealer and the rhythmic placing/turning over of the cards. There’s a new player at the games – a young woman named Saeko who fascinates Muraki with her recklessness and thirst for excitement. And there’s a mysterious man in the corner, who sits and stares but doesn’t play – a new hitman on the boss’s payroll. Meanwhile, the gang leader needs another murder done. Muraki’s off the hook since he just got out, but he volunteers anyway – perhaps the influence of his new thrill-seeking girlfriend. A lot of the threads in the film don’t go much of anywhere plot-wise, at least not in an obvious manner. The mysterious new hitman may be giving drugs to Saeko, which may lead to her downfall. Early on, Muraki talks about how his first murder felt – and it wasn’t bad. But he doesn’t appear to have bloodlust, either. 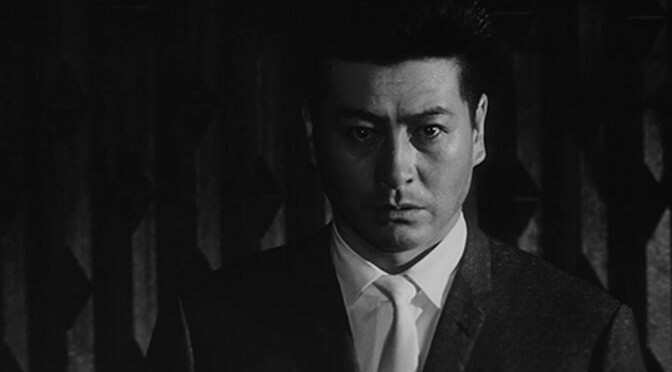 In fact, Muraki fits into the cool and inscrutable hitman type along with Alain Delon’s character in Le samourai; you get the sense that neither of them feel there’s anything particularly wrong with their line of work, they’re good at it, and yet they care much more for sticking to their own personal code of honor than necessarily believing in their leader or any kind of cause. 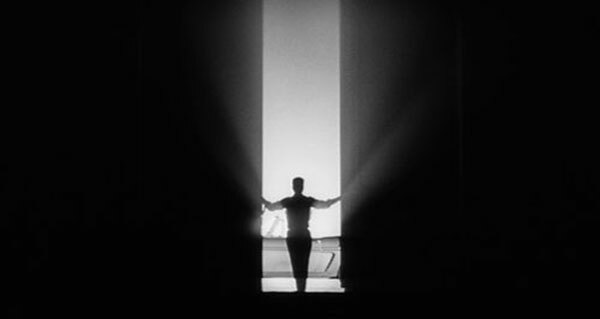 Stylistically, the film is striking, clearly a late and very self-conscious noir (taking as much from the French noir tradition as from the American one), with high-contrast lighting adding to just about every scene, yet still allowing scenes like a night-time highway race and Muraki’s final moments in prison stand out. The score is by avant-garde classical composer Toru Takemitsu, and its discordant strains and jazzy rhythms are almost another character in the film. 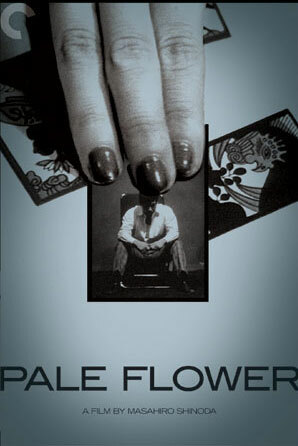 I wasn’t too sure what to make of Pale Flower while I was watching it – motivations were difficult to decipher, and the connective tissue between scenes and plot threads is often slight or non-existent. 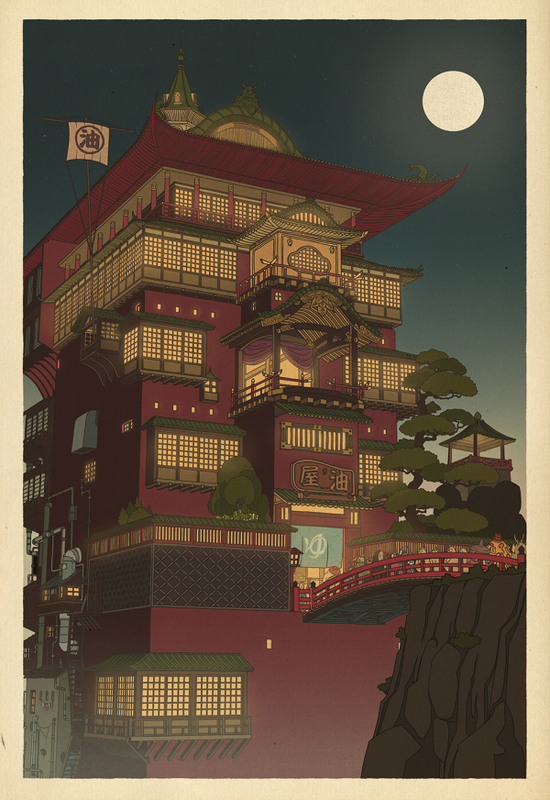 But the atmosphere, mood, and look of the film is inescapable, and with a couple of essays from Criterion and Roger Ebert (this is one of his Great Movies, after all) under my belt, it’s growing quickly in my estimation, and I’ll looking forward to revisiting it down the road. After watching a movie, I always rank it on Flickchart.com (a movie matchup site that pits movies against each other to create a list of your favorite movies of all time). Here’s how Pale Flower entered my Flickchart.